Last week, Microsoft officially released Windows Server 2016, its ‘latest and greatest’ Serer Operating System for use as hypervisor, just enough server, management serer and of course, Azure IaaS-based Virtual Machines (VMs). Windows Server 2016 was announced Release to Manufacturers (RTM) during the Keynote of Microsoft’s Ignite event on September 26, 2016, but wasn’t generally available (GA) for large groups of people before Wednesday October 12, 2016. Before RTM, Microsoft offered Technical Preview versions of Windows Server to anyone who wanted to test the Operating System and/or its features. Technical Preview 5 (TP5) was the last Technical Preview version, released in April 2016. When you gained early access to the Windows Server 2016 RTM build (build 6.3.14393), configured the Active Directory Domain Services (AD DS) role (and accompanying features) and, then, run the Active Directory Domain Services Configuration Wizard to make it a Domain Controller, you are confronted with ‘Windows Server Technical Preview’ values for both the Domain Functional Level (DFL) and Forest Functional Level (FFL) when you create a new Active Directory Forest. 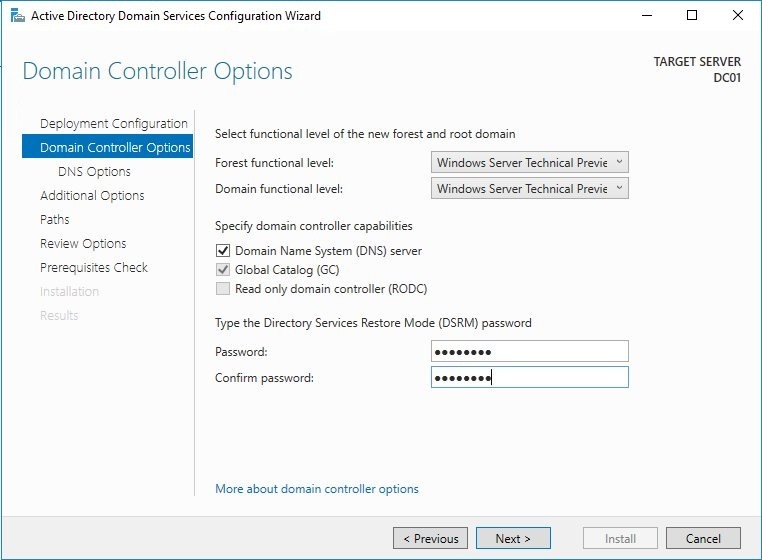 The mislabeling of the Domain Functional Level (DFL) and Forest Functional Level (FFL) in the Active Directory Domain Services Configuration Wizard is a purely graphical issue in the Wizard, caused by the absence of the first updates for Windows Server 2016. 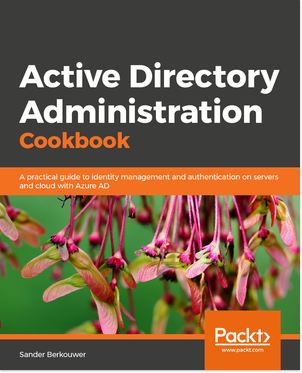 This issue does not affect any other functionality, since the Get-ADDomain Windows PowerShell cmdlet returns Windows 2016Domain as value for an Active Directory domain configured with the Windows Server Technical Preview Domain Functional Level (DFL). To avoid experiencing the issue of encountering ‘Windows Server Technical Preview’ values for Domain Functional Level (DFL) and Forest Functional Level (FFL), install KB3194789, as confirmed by Ned Pyle. Alternatively, you can ignore the mislabeling of the functional levels in the Active Directory Domain Services Configuration Wizard, but I think we can agree that it is a recommended practice to apply available updates to Windows Server installations before installing a role, and after installing a role.